Call (310) 288-0641 for specialized plastic surgery & non-surgical procedures in a caring environment! When it comes to restoring youth and balanced beauty to your face and neck, trust Dr. Ben Talei of Beverly Hills Center for Plastic & Laser Surgery. Dr. Talei is an elite dual board certified plastic surgeon who is distinguished in his field for his dual fellowship training in Facial Cosmetic and Reconstructive Surgery, Vascular Birthmarks and Congenital Anomalies with Laser Surgery. 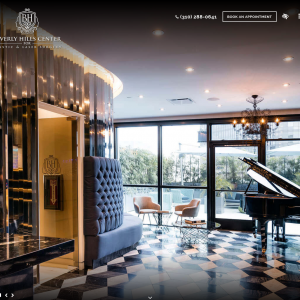 His Beverly Hills plastic surgery center features a full menu of procedures for the eyes, nose, lips, ears and eyes. To meet the needs of each patient, Dr. Talei offers both surgical and non-surgical services, helping patients achieve the most significant, naturally looking results at their chosen comfort level. While Dr. Talei uniquely provides birthmark treatment and cleft palate repair, he leads the industry when it comes to facelift technique. Dr. Talei is one of the few doctors in the nation that offers the deep plane facelift. He proudly offers highly advanced cosmetic and reconstructive procedures that allow for minimal scarring and shorter recovery time. At the Beverly Hills Center for Plastic & Laser Surgery, patients receive the most cutting-edge and advanced treatments available. Our center has a sole focus on restoring, correcting and enhancing the face. Dr. Talei offers countless techniques and procedures in facial rejuvenation, rhinoplasty, blepharoplasty, non-surgical and facial reconstruction. Regardless of which procedure you choose, you can trust that it will be marked with marked-accuracy and precision. Dr. Talei is also a respected author, teacher, and surgeon and has been featured on E! News, FOX News and NBC for his humanitarian efforts and groundbreaking surgical techniques. 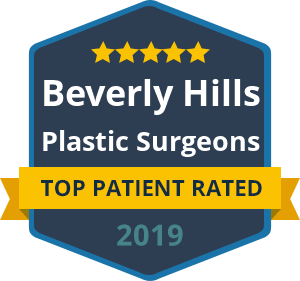 Regardless of the reason you seek facial plastic surgery in Beverly Hills, Dr. Talei will bring his elegant artistry and skilled expertise to each and every patient he sees. Dr. Charles S. Lee, M.D.